Published March 29, 2013 By Anna T. This post may contain affiliate links. Regardless, I only recommend sites I've researched and/or used and trust. 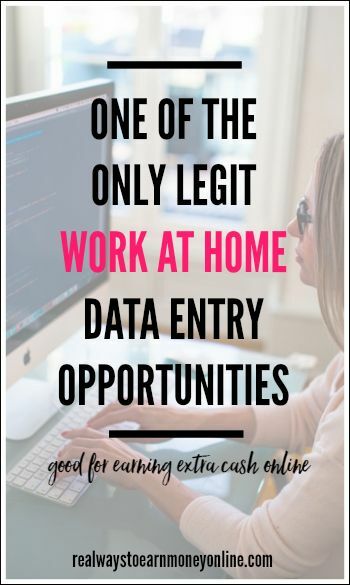 The Smart Crowd (formerly known as VirtualBee and Key For Cash) is one of the few online companies in existence offering legit data entry jobs from home. You may already be familiar with this company if you've been in the work at home circles for a while. International workers – this opportunity is open worldwide provided you meet certain requirements. More detail on that is below. What kind of work do you do for The Smart Crowd/VirtualBee? The same data entry tasks that were available when the company was known as Key for Cash/Virtual Bee are still available. This involves looking at scanned images displaying numbers, dollars and cents, dates, or names and addresses and inputting them as they come across your screen. You may also be doing basic internet research (example – finding names and addresses for businesses online) and also making phone calls to gather information. For the most part it is easy, mindless work that you don't need a lot of special skills for. How much does The Smart Crowd/Virtual Bee pay? The amount you earn will vary per task. Some tasks pay more while others pay a lot less. For example, right now I am looking at my dashboard and I'm seeing data entry tasks that pay anywhere from .20 cents per 1000 keystrokes to .60 cents per 1000 keystrokes. The Smart Crowd/Virtual Bee is unfortunately is not a good option for an actual online job because the pay is so low you likely won't even be making minimum wage. This is why I tell people not to really bother with it for anything apart from just extra money and data entry experience. Honestly, if you look at this as your “job,” you are going to get really frustrated because of how little you are making. When I do it, I just think of it as something for a little extra money — kind of like I do when I'm taking online surveys for money, etc. How and when does The Smart Crowd/Virtual Bee pay? In order to get paid by The Smart Crowd, you have to have a Dwolla account. They pay you using this monthly. It is possible to get a debit card through Dwolla that your funds can transfer to, making it more convenient to gain access to the money as soon as it's been sent over. The Smart Crowd/Virtual Bee accepts workers from the US and other countries as well. Do you need experience to get in? No, you do not need any prior experience. However, you will have to take a test on the website to gauge your data entry skills. The percentile you are in will determine whether or not they invite you to join. Obviously the higher your percentile, the better. No, you are not bound by any schedule. You can log in and out and work whenever you want provided work is available. You work for The Smart Crowd as an independent contractor. Therefore, it will be your responsibility to keep track of your payments for tax purposes as they will not send you a W-2. As you might have already guessed, this is far from a perfect work at home opportunity (and don't forget there is no such thing as that anyway). The primary gripes I see online from people who actually do work for this company is the seriously low pay and the occasional lack of work. This is why you just can't depend on it for income. Some people who apply also complain because they never hear back despite having a very high percentile score after taking the test. There are some good things about The Smart Crowd. First off, the work is kind of fun to do, especially if you're someone who occasionally enjoys little mindless tasks. It also will give you some data entry experience. This will be super helpful if you ever decide to pursue some more lucrative work at home data entry jobs. Although they're hard to find, these do exist. And, as stated above, the company is known for paying so you don't have to worry about it being some shady data entry scam. If you wanted to spend a little bit of time on it each week, this could be some extra money for you every month. I was able to get accepted by this company a few years ago when they were known as Key For Cash. I was excited to get in because I enjoy data entry. At the time I started, I was also doing a lot of freelance writing which paid considerably more so it just made sense for me to spend most of my time on that. However, I would often log into Virtual Bee here and there and do some keying just because it's fun. At the time I used the site, you had to have earned a minimum amount to make payout and I never worked enough to reach that threshold. WAHM.com has an entire sub-forum devoted to Virtual Bee that stays pretty active. This is a good place to go read real user experiences and find out if anything new happens with the company. If you want to go ahead and test for The Smart Crowd/Virtual Bee, you can begin the sign up process here. Good luck! Looking for other data entry options? If so, I recommend keeping tabs on sites like FlexJobs and Indeed for data entry listings. FlexJobs is a fee-based job search board, but they guarantee no scams are ever posted, and I've never seen any. Indeed is a free job search board, but you may occasionally find scams there. Just use “data entry” as your search term in the keyword box and keep an eye out for any postings that say they are work at home. Does speed matter on the tests? I believe so, I think they want you to get in the 90th percentile. But if I’m not mistaken, you can take the test multiple times. I scored in the 98th percentile in May, 2015 and was hired in August, 2015 to start keying. They pay .30 per 1000 keystrokes for most tasks but 2 of the tasks will pay .60 per 1000 keystrokes. I don’t use The Smart Crowd as my full time job but rather as a little pocket change. It takes a lot of work to earn the threshold of $30 by the 15th of the month in order to receive a mid-month payment. If you don’t earn at least $30 by the 15th, then whatever you have earned gets added to what you earn from the 16th-30th or 31st. That amount is paid out to you through a service called Dwolla. You are required to set up an account on Dwolla and the deposit will be made within 5 days after the pay period ends directly into your account. Everything is communicated to you via email. So, as an example, you earn $20 the 1st-15th. You will not be paid anything. From the 16th-31st, you earn $20 so your monthly total is $40. Up to 5 days after month end, you’ll receive an email from Dwolla saying they received an amount on your behalf and will be transferring that to your bank account. Within a few hours of that email, you’ll see the $40 hit your bank account. It’s simple and the money is easy just not plentiful. Since the end of August, I’ve earned about $500. I don’t work at it on weekends and because I have a full time job, I only key on my lunch hour and in the mornings if I arrive to work early. It’s been perfect for me. I’ve had no issues with The Smart Crowd whatsoever. I would like to know how the heck someone actually gets hired! I’ve tried for the past 3 years, with my last score being in the 98th. percentile but have yet to hear anything back. I scored at 100% and waited almost a year before they finally accepted me. I even tried emailing them like some people have posted. That did not help me at all. I would just say score really good on your tests and just wait. it does take them a long time to accept even if your score is excellent. I applied to do data entry with Virtual Bee in April 2013 and scored in the 99th percentile, I think. After a temp job at a law firm went sour in November 2013, I was fairly excited to get an email from Virtual Bee saying I could start keying. PROS: Easy, mindless typing work. Slightly addictive. CONS: Low pay (~ $2/hr even if you’re fast and accurate), long periods of no work (usually work on Tuesday-Thursday but even that’s not reliable lately), not the friendliest technical service. I contacted them recently to find out why I hadn’t received my most recent check… they said my bank info was wrong/missing (for direct deposit) and that my check would be mailed the next week. I told them that was great as I preferred checks and they said eventually everyone will have to switch over to direct deposit. Setting up direct deposit was a whole different ballpark :/ but I worked it out. I’m a little aggravated that I even bothered as there has been precious little work lately. It’s not even worth logging into check their website anymore. This was a good company when I got in some years ago when it was called Key For Cash but it has changed a lot over the years. When I started the pay was .60 cents per 1,000 keystrokes and you could make some okay money with it because the work was consistent. Now the pay has been cut down to .20-.30 cents per 1,000 keystrokes and the work is very inconsistent. Making payout with them monthly has become impossible. I have since dropped this egg. It’s just not worth the money. It’s sad too because the work is not hard and it could be a good egg if they just worked at it a bit. It’s a legit company that does pay but truth is there are other better paying jobs out there without having to waste time with this one. They are looking for slow workers. If you complain for payment, works are not available forever. And they will silent forever. They don’t like fast workers. Low percentiles get the works. COMPLAIN = NO WORK ! I currently work for Virtual Bee (as of Nov 2013). The pay is .30cents for every 1000 keystrokes. As far I know, it’s been this way since 2013. I don’t know of being paid .60cents per 1000 keystrokes…no one who I know who types for Virtual Bee is getting paid that much. Nope..it’s .30cents per 1000 keystrokes for everyone whether you’re good at it or not. This review was written back in March of this year. At the time I wrote the review, I checked my dashboard and did see some tasks that paid the .60 cents. So I was reporting what I saw for myself at that time. Do you know of the site lionbridge which are connected to virtual bee and if and how often they have task available. And if they have any available task now. When I first started with this company I loved it. Over the years it has changed so much so that it’s just not worth it anymore. The snippets are terrible to read and then they reprimand you for not entering something you can’t read when they tell you if you can’t read it to pass on it. I don’t see much ever good ever coming out of this company anymore. It’s sad because at one time it was a good egg for a part time job. I took the evaluation back when it was Key For Cash, scored in the 97th percentile, and never heard back from them. Just signed into my account now that it’s Virtual Bee, and nothing has changed. Was looking forward to some mindless plugging away to augment a podcast or two. Are there any comparable sites to Virtual Bee? I have worked for Virtual Bee for a couple years now. When I started it was Key For Cash. Stated above it says .20 to .60 per 1000 keystrokes. This is just not so. Once in a while you will see these, but very rarely. The typical pay is about 0.15 per 1000 keystrokes. This is a fun mindless work at home position but the pay is very very low. Mind you – every one of those thousand keystrokes must be correct, you do not get paid for incorrect keystrokes. Even a very fast typist with a very high quality rate can not make any feasable income on this site. You can not make minimum wage here, it is just not possible. When I first started there was work 24/7 any time you wanted it and my highest paying check was around $100 a week, this was when I was mostly online and spent A LOT of time typing for them. Summer months are very slow with little to no work available. Around tax time you can stay fairly busy. I would not recommend this company to anyone until they raised their rate of pay. It is truly sad the amount you make. Most people who are good and fast typers I would say make around 5 dollars an hour tops on the work they usually have posted which is mainly typing numerics. There are plenty of other opportunities for work at home positions, I hate to see people work so much for so little like I did for a while because I really needed the extra income. I kick myself when I think of all the time I spent working for them at such a low rate, so low for the amount of work and time I put in that it is actually embarassing. If people would stop working for this amount then maybe they would raise their rate some but as long as they can find someone to work for half of min. wage then nothing will change for this company. The up side is they are legit. Any time I made over $30 I was mailed a check, never cheated not once. A couple times my checks were late but they did always come so they are not a scam -they are just taking advantage of people with such low rates in my opinion. The .20 to .60 per task was what I saw at that time when I checked my dashboard. I did mention above that the rate can vary, and the rate listed was just an example based on what I saw at that time when I logged in. I agree with you that it’s nothing to depend on for an income, and I certainly wasn’t trying to imply in my post that it is. I would never recommend anyone try to make a living using this site and I think it’s a shame that their pay does nothing but drop. Unfortunately though it is one of the only legit options for data entry out there, which is why it’s even mentioned on this site at all.